Your work requires a lot of movement on your part, and on a variety of surfaces, too. 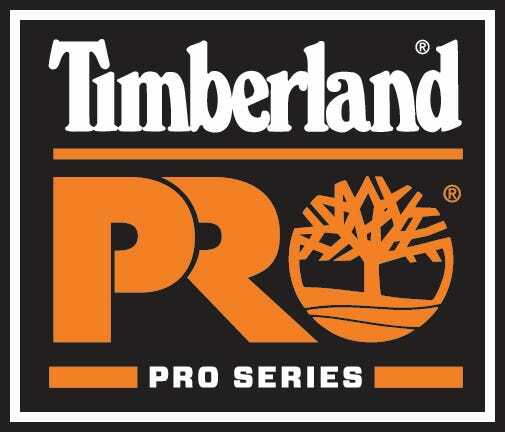 Give your feet the underfoot support they deserve, and provide yourself with the quality and protection from wetness and hazards that you deserve with these Timberland PRO Men's G ... (see full details) (see specifications) #TB0A1KRQ214. Your work requires a lot of movement on your part, and on a variety of surfaces, too. Give your feet the underfoot support they deserve, and provide yourself with the quality and protection from wetness and hazards that you deserve with these Timberland PRO Men's Gridworks TB0A1KRQ 214 6 Inch Work Boots from Working Person's Store. When it comes to comfort, you can rely on these men's six-inch boots. They are built with a soft toe, which keeps them lightweight and roomy. They also feature mesh lining on the interior that offers breathability and sweat-reduction. The perforations in the mesh allow air to reach your feet to keep them cool, and the perforations also allow for fast evaporation. Better yet, the mesh lining found in these Gridworks work boots is made with antimicrobial treatment, which offers odor control. In addition to the soft toe and the lining, the waterproof men's boots are designed with a dual-density footbed that features anti-fatigue technology. It reduces soreness and exhaustion by absorbing the shock that results from ground strike impact and returning the energy to your feet with each step. And lastly, the heat-resistant boots from Timberland PRO are built with a steel shank that further absorbs the impact of a collision between your feet and the ground. That way, you don't suffer through as much soreness as you work. Better yet, these men's soft toe boots are waterproof. They're designed with a water-impermeable membrane that keeps your feet dry due to superior waterproof protection. The membrane also provides blood-borne pathogen protection. Aside from the membrane, the shock absorbing waterproof boots feature a leather upper that is entirely waterproof, so no wetness finds its way inside. Moreover, these men's mesh-lined boots can keep you safe. These are crafted with a heat-resistant outsole that’s can protect you up to 248 degrees Fahrenheit. The outsole found on these odor control men's boots can also keep you safe from electrical hazards. You can trust them because they meet the requirements for the safety standards ASTM F2412-11, ASTM F2413-11 and ASTM F2892-11. Finally, these men's electrical hazard boots offer durability in their build. They feature an upper made from premium full-grain leather. The leather upper is tough, so you can trust it to last through strenuous wears. The upper is also made with brass hardware for further longevity. Beneath the leather upper is an all-weather thermo-plastic urethane flat wedge-shaped outsole. The outsole is durable, but it is also oil-resistant per SATRA TM63 and abrasion-resistant. Your feet deserve comfort and protection, and you deserve long-lasting quality. So, choose these Timberland PRO Men's Gridworks TB0A1KRQ 214 6 Inch Work Boots, and get them here at Working Person’s Store today. Timberland PRO Boots: Men's Gridworks TB0A1KRQ 214 6 Inch Work Boots is being added to your cart.